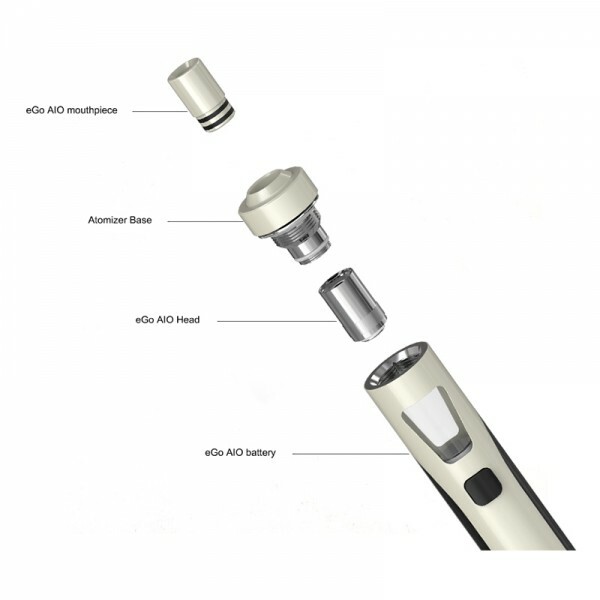 Joyetech eGo AIO Easy eGo AIO, being all-in-one style, attaches the best anti-leaking structure with 2ml e-juice capacity. 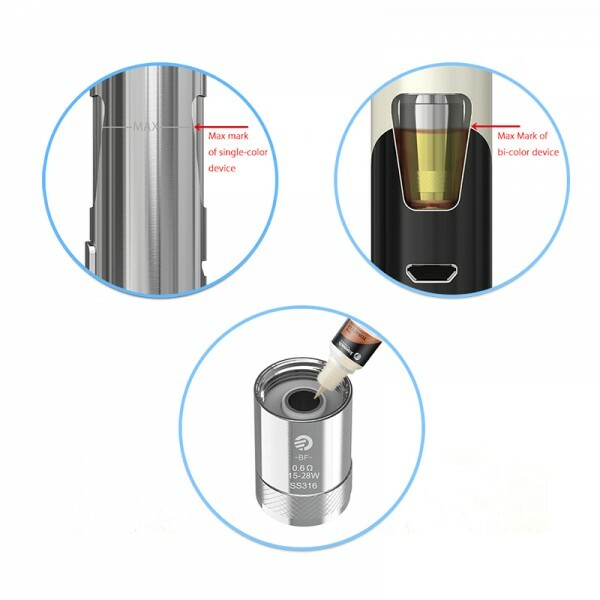 It applies childproof systems: pressure twist cap of tank and five-click fire button of power supply. It is simple and conve.. In power-off condition, long press the fire button to turn off the indicate light or shift among the color of red, yellow, green, blue, indigo, white or purple.